Redmayne as Hawking. Cumberbatch as Turing. 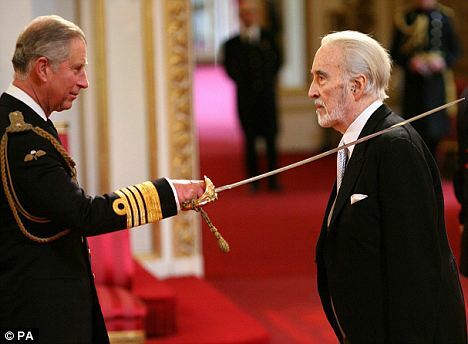 If the timing were right, Christopher Lee would have been superb in the big-screen story of British-born theoretical physicist Geoffrey West. (I've interviewed both.) While Lee was knighted by the Windsors for his service to drama and charity, West was dubbed Time magazine's "One of the 100 Most Influential People in the World." He is best known for his exploration of scaling laws as they pertain to biology, and to cities and companies. Kleiber's law was a particular inspiration. West has also been described as "striking a Gandalfian figure," a good-guy role Christopher Lee once actually got to play as mentor to young Robin Hood. Lee is gone now, sadly (and lives on, of course). And West draws rave reviews portraying himself. He's just a tad shorter than Lee was, with the same strength of character and mix of British reserve and surprise. Unlike Lee, however, whose roots were aristocratic in real life, West grew up "streetwise" in 1950s East End London. West's brilliance in math brought him a scholarship to Cambridge University where he first found excitement in physics. He's worn his hair long (with occasional trims) ever since his 1960s California days as a student at Stanford University (PhD physics, 1966); as a post-doc at MIT and Cornell University and research fellow/lecturer at Harvard; as a visiting professor at Stanford, Sussex and the University of California-Santa Cruz; at Los Alamos National Laboratory in New Mexico where he founded and led the high energy physics group; and now at Santa Fe Institute. He is Santa Fe Institute Distinguished Professor and Past President (2005-2009), but also spends considerable time speaking to audiences in various parts of the world, such as at the Davos World Economic Forum, Ted, and Silicon Valley Big Thinkers. As his Time magazine listing proclaims, he's got Big Presence that connects with not only other Big Thinkers (in science, business and government) but with the public. His voice is rich, it moves, effectively rearranges molecules. Geoffrey West was trained to think in equations, although he seriously entertained becoming a writer during the California years. He told me he now considers the entire 60s and 70s era of "openness and liberal values" that he lived through somehow a "blip" in history. Yet as we spoke of his life, vivid images emerged at every turn. He was born in Taunton, England on the river Tone about a two-hour drive from London, a town surrounded by woodlands and grasslands. It was just after the start of World War II. At age 13 he moved to London's East End where he and his family -- he has two sisters -- looked to his father's luck at cards to survive and his mother's skill as a seamstress. Neither of his parents finished school. West's first job at 15 was in a brewery in the docks along the Thames River. Despite the financial instability of those years, West says his East End home was one where books were valued and that his father was "well read." Geoffrey clearly drew the winning card from this mixed bag of experiences, finished high school early and moved on to Cambridge (BA, 1961). His life in science would begin its dramatic leap. 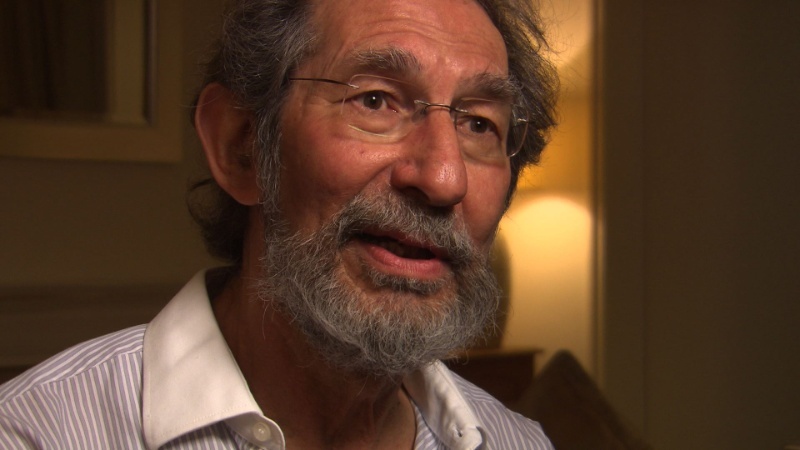 I spoke recently with Geoffrey West in between his visits to Singapore, where he was lecturing on cities -- and London, where he teaches math at Imperial College London and business at Oxford University's Said Business School. At age 75, he seems to have a furious schedule, although the lifestyle of a "gentleman scholar" that he learned to love at Cambridge has always been the one he's preferred. West says he finds the driven American work ethic "distressing," yet long ago made the decision to settle here. He and his wife Jacqueline, a Jungian analyst, who he acknowledges has somewhat influenced his perspective on the sociology of cities, have made their home in the Santa Fe area for decades. West told me moving from Santa Fe now would be tough, that it's a landscape that speaks to you. Aside from Time magazine's 2006 "Most Influential" list, some of Geoffrey West's other honors and awards include: Leo Szilard Award (American Physical Society, 2013), Harvard Business Review (Breakthrough Ideas 2007), Oxford University's Glenn Award (Aging research, 2006), Weldon Memorial Prize for Mathematical Biology (2005), Mercer Award co-recipient (Ecological Society of America, 2002). He's one of 10 Senior Fellows of Los Alamos, a Fellow of the American Physical Society, and an Associate Fellow of Oxford University's Said Business School. Geoffrey West is the author of several books, best known among them: Scaling in Biology (with James H. Brown) plus one in the works on many of the subjects highlighted in our conversation. Part 1 of that two-part conversation follows. Suzan Mazur: Where does your sense of humor come from? You like to laugh. Geoffrey West: No one's ever asked me that. Where does it come from? Geoffrey West: My father was pretty funny, in a kind of dry way. Along the way I picked up the idea that at some level of dealing with issues or problems, humor is useful for breaking the tension both internally and relationship-wise. I am very conscious of that being a mode in which I interact and I'm also quite conscious that one has to be very careful with humor because it can turn into aggression especially for example when it becomes sarcastic. When I actually think about it, I definitely make every effort to use it to facilitate interaction and not use it in some aggressive way. I also like to use it to cope on a personal level when somehow times are tough or things go awry or whatever. Suzan Mazur: You note in your Santa Fe Institute profile that your father was a professional gambler. What influence did that have on your life? Geoffrey West: It made me a little cautious for most of my life in terms of the material world, in terms of taking too many chances, and so forth. My father was quite reckless at times in his gambling. At the same time, he was a very conservative man, which is a weird combination. What rubbed off on me was that because some of my early life was a bit of a roller coaster in terms of financial stability, one of the big residues was that I wanted a fairly stable financial life -- a salaried position and so forth. Suzan Mazur: What sort of gambling did he do? Geoffrey West: Dogs, dog racing, horse racing, cards mostly. Not very exciting. But he had a good sense of humor as I said. That may have come with the territory, the kinds of people he interacted with. In London there's a kind of Cockney sense of humor, a way of looking at the world, American audiences know it best through Monty Python. It's a kind of "theater of the absurd." My father certainly had that. It's a thread that runs through the English culture certainly since the last century. Suzan Mazur: Were you close to your father? Geoffrey West: Yes, I was close to him, but again, he was a fairly reserved man and he died young. So I felt a bit cheated. I must have been age 32 when he died. I was in California at the time where I was subject to all the marvelous things that had been happening there in the 60s and 70s in terms of counterculture. I was becoming more open and thought that this was the time to break the ice at a deeper level with dear old Dad. . .but then sadly he died. So yes, we were close, we had a lot of correspondence during those years, quite a lot. Suzan Mazur: Your mother was a dressmaker. So there was stability there. How did she inspire you? Geoffrey West: For me, one of the sad things about my parents -- although I don't think they felt this way hardly at all -- was that they were both the eldest children of large families and lived through what was the equivalent of America's Depression in England, and had to leave school early. My father left school at age 15 and my mother at 13. My mother started her own business when she was 14 with one employee. It was a whole different era. But she was extremely talented as was my father. My father was well read but it was through a funny lens of having to leave school fairly early. Suzan Mazur: Your wife is a Jungian analyst, president of the Council of North American Societies of Jungian Analysts. Geoffrey West: My wife is a Jungian analyst. Indeed, although she's now actually past president of the Council. You've done some homework. Suzan Mazur: Has her work influenced your work in any way? Geoffrey West: It has to the extent that I do tend to take a perspective that is sometimes quite psychological in trying to interpret, especially in more recent years with the work on cities and companies, etc. However, it stays outside of the hard data analysis, the equations and all the rest. But it certainly has entered my life. Suzan Mazur: How have your children inspired you? Geoffrey West: My son is a young faculty member in earth sciences at University of Southern California. Suzan Mazur: And an Olympic champion. Geoffrey West: Yes, he's fantastic, he's an extraordinary young man, in the sense of being able to combine being an Olympic silver medalist with going the standard academic route -- because both of them require 24/7 kind of commitment. I still wonder how he was able to do that. Our daughter is in Washington, she worked at Brookings, got her masters in international policy at Stanford and works now in the State Department for USAID. She really wants to have a positive impact on the world, which is wonderful. Suzan Mazur: Was there an educator who particularly inspired you early on? Suzan Mazur: Were you on scholarship at Cambridge? Geoffrey West: Yes, I was. One of the things I learned was that using mathematics and physical principles is an extraordinarily powerful way of looking at any problem. There were a couple of people when I was a student who projected this idea that my training wasn't necessarily to solve a specific problem or the specific problem that I was working on for my thesis but that it was to arrive at a way of thinking about everything, about the world, the universe, etc. and the power of mathematics and underlying principles to address problems across the entire breadth of science. And, of course, by implication -- beyond science -- a kind of arrogance of physics. The big question is how far that can be taken. This had a very strong influence on me, which I didn't appreciate for a long time. But it was there. In a sense, I took it for granted without becoming really conscious of it. One of the things I'm eternally grateful for was that toward the end of my career in high energy physics I was able to move to the Santa Fe Institute, which is a place where that's what we try to do. Not high energy physics, but thinking in broad terms, bigger perspective, big problems, big questions. Suzan Mazur: You've settled in the Santa Fe area, you probably could have moved on to Geneva and CERN after the plug was pulled on the Texas Superconducting Super Collider project. Why have you stayed in Santa Fe? What do you love about it? Geoffrey West: A combination of many things. Once you settle and have family, no one really wants to move. Possibly, if exactly the right offer had come along, we would have left Santa Fe. But it would have taken a lot to do that. And secondly -- do you know Santa Fe at all? Suzan Mazur: I've seen a bit of the Southwest. Visited Santa Fe briefly -- as well as Santa Fe Institute! - spent some time in Taos. Covered the Tom Green bigamy trial in Utah for the Financial Times and traveled south to the canyonlands on the Utah - Arizona border investigating the FLDS polygamy cult. Geoffrey West: Santa Fe is physically so dramatic. It's not everybody's cup of tea, of course. But the vistas are extraordinary. The kind of spirituality to the landscape itself is almost biblical in its color and space and light, etc. That's scary too, actually. At quite the opposite end of the spectrum to England, which is soft and green and nurturing, where everything is close and you feel you're being taken care of. 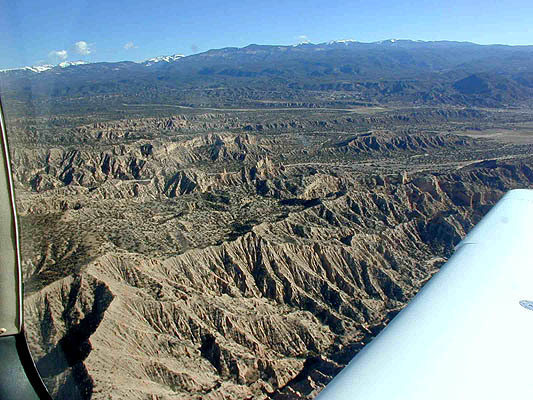 Here in Santa Fe you're on your own, that's what the landscape says: You will have to confront God. Suzan Mazur: You grew up in England during the time of the 60s counterculture movement and also lived in California during the 60s and 70s. What was the most significant aspect of that time in your mind? Geoffrey West: It was very resonant, extraordinary and on some level quite challenging. How far would this go in terms of the kinds of culture that was being developed? Where are the boundaries here? Where do we stop? I thought that this was how it was going to be for the rest of my life. I just assumed that would be it. The most significant surprise was that it actually didn't last very long. Virtually the only residue of it all is blue jeans, etc. The essence of what that movement was or that cultural shift was, was ultimately a little blip. The liberal values and the openness and explorative nature and spurning of material wealth and goods -- beginning in the late 70s, and into the early 80s, certainly when Silicon Valley came -- became just an aberration, something that once was. Suzan Mazur: But there does seem to be a neo-New Age brewing, certainly in terms of evolutionary science where there's a push to explore emotion, signaling and things like that, of getting into areas that are not material. Do you have any thoughts about that? Geoffrey West: People were looking at that in the past, but it was very fringe and highly speculative. Now it's moving much more into the mainstream. I think that's really good. That is as it should be in science. It's because not only have we built a body of knowledge that acts as a base, but, most importantly, we've started to invent fascinating techniques for potentially probing some of these issues, and they merge the more speculative and qualitative aspects with traditional methods of quantitative measurement and data, etc. Out of that comes the possibility of developing a science of some of these things. Questions of where do emotions come from, are there any systematics to do with emotion -- love, hate, and so forth. It's fascinating to consider what effect this is going to have in terms of our bigger picture as human beings, how it will affect psychological and psychiatric practice, etc. Suzan Mazur: Some of the Santa Fe Institute's support in recent years has come from the John Templeton Foundation, which has been interested in non material areas of investigation. There continues to be controversy over Templeton Foundation sponsoring scientific inquiry. Would you comment on that? Geoffrey West: It's a mixed bag, there's no question. The controversy surrounds the original setup of the foundation. One would see that the wishes of Sir John Templeton that would deal with questions of religion and God and so forth would be honored. When Templeton first came on the scene there seemed to be an aggressive stance that it would only support science that somehow believed in things like a monotheistic version of intelligent design, etc., that had a religious, spiritual aspect in terms of science. That was a very difficult thing for many people because it starts to question credibility and is antithetical to the open traditions of scientific inquiry. Even though some of that remains, one of the things Templeton has done to its credit is to separate the part that was intelligent design -- you have to show me where God sits, etc. -- from supporting big questions in science. So at first we at SFI were extremely reluctant to be involved with Templeton, but then it became clear as other scientific organizations and several distinguished universities started accepting money from Templeton that Templeton actually was taking what appeared to be a hands-off approach. Templeton was going to support science in the same way that the National Science Foundation or the Department of Energy or whatever other foundation would support it. In my own personal experience Templeton was hands-off, it didn't try to push SFI in that direction. That was very good. But it was always a slightly uneasy relationship because it's not transparent. You don't really know what's going on behind the big screen. So it's been a mixed bag. And I've always felt a little bit uncomfortable because of that because it wasn't quite clear. On the other hand, the great thing about the Templeton Foundation is -- and this is an astonishing indictment of the way all the other funding agencies have gone -- Templeton is open and enthusiastic about supporting questions or highly broad topics that transcend many disciplines and are truly fundamental, whereas getting those funded by the National Science Foundation is almost impossible. So Templeton is very open to broad, transdisciplinary kinds of things, big questions and things, for want of a better word, we put under the umbrella of complex adaptive systems. Some of the questions you've been probing in terms of origin and evolution of life are very much in the spirit of what Templeton is interested in. Suzan Mazur: I covered COOL EDGE 2013 -- as an independent journalist -- the origin of life conference at CERN that Templeton Foundation funded. Templeton was a bit slow in actually cutting the check and the conference almost never happened. Is Templeton still funding projects at Santa Fe Institute? Geoffrey West: Yes, it is, but the present funding finishes next year. But naturally it's not clear what the future will bring. Suzan Mazur: Well, you seem to have done everything right, a marvelous career and family. You've described your life as being on a treadmill, how much of your personal and professional success do you attribute to consistent hard work? Geoffrey West: I'm not a workaholic, quite the contrary. I learned that as an undergraduate at Cambridge in the 1950s because part of the English ethic at that time. . . England was still really pre-war highly divided class society, still is to some extent, but it's now much more subtle. It was quite transparent then, quite explicit. So part of that was this idea that you should be a gentleman scholar. You don't really work very hard but you understand everything. And I was extremely young, I was much younger than the vast majority of my fellow undergraduates and easily influenced. I thought, oh boy, that's the way you're supposed to do things. Of course, that wasn't actually what was happening. Suzan Mazur: At what age did you begin your undergraduate studies at Cambridge? You graduated from high school early? Geoffrey West: I finished high school a year or so early. I began at Cambridge in 1958. I was accepted at Cambridge when I was 16, but I took a year off, because I decided I was too young. The majority of the undergraduates at that time had served two years in the armed forces. So many of the incoming undergraduates were 20 years old and many of them had killed people. They were men and I was a little boy basically, even though I had come from London and was sort of streetwise. But that's very different from going out into the jungles of Malaysia or in the desert of Libya or Cyprus and killing people. Suzan Mazur: You've never been in the military. Geoffrey West: No. I could have gone in. They gave me a choice. They said I could do national service first but then I'd have to wait two more years before I could join up and then go on to college after that. I decided I shall delay as long as possible serving in the military. So I began in 1958 and it was quite a shock. But one of the things the Cambridge experience left me with was that I've never felt the obsessive-compulsive need to be working all the time, which is one of the things I have found distressing about becoming an American. Geoffrey West: An inherent piece of the American culture is that you have to be working all of the time. Suzan Mazur: And beating the clock. Geoffrey West: Even if you're never accomplishing anything, you should be working at it. There's a point to that actually. But that doesn't mean to say I don't work extremely hard when I need to, when I do. When I'm really into something. I don't do it any longer because I can't do it, but I have often been up to 2 or 3 in the morning, sometimes all night trying to get a calculation straight for weeks in a row. Suzan Mazur: Is there a particularly significant turning point of your life? Geoffrey West: A turning point, a mammoth one, was getting involved in biology, then moving to the Santa Fe Institute. That took a couple of years. It wasn't really a point. It was more of a spread out point. But that completely changed my life from being a highly focused academic doing high energy physics : quarks, gluons and string theory -- fascinating wonderful stuff, extraordinarily difficult technically but potentially very profound and so forth -- and then somehow evolving into a kind of pseudo charlatan biologist thinking about other big questions, quite different and equally fascinating. That was the thing that blew my mind. In fact, in many ways, these other big questions are more fascinating because they're right here on Earth. So I've just had a phenomenal time, thoroughly enjoyed taking these ideas from physics and seeing how they can apply to the biological world, and now to the social world in terms of cities and companies. Suzan Mazur: Speaking of cities, last night Charlie Rose had former New York deputy mayor Dan Doctoroff on the show talking about his partnering with Google on "Sidewalk Labs," involving in part removal of the city's pay phones and replacing them with wifi stations. Doctoroff pointed out that at the moment more than 3 million of New York's 8.5 million people do not have broadband. Geoffrey West: There are several small towns that have done this and obviously long term that is what's going to happen. Suzan Mazur: Doctoroff quoted Google co-founder Larry Page describing cities as "the next frontier." Geoffrey West: I've been saying for years now that this is the most urgent problem and perhaps the most exciting challenge facing society and science. The fate of cities and urbanization is the fate of the planet. We urgently need to ask if a grand holistic science of cities and sustainability is at all conceivable. And that's why when you asked me about the politics, I said I find it astounding that none of the people running for US President have brought up the question of urbanization, and cities -- which, indeed, are our future.